Black and white negative showing the front of the Goldring Store at Port Whitby one month before it was to be demolished. The Goldring Store was located at the southwest corner of Brock and Victoria Streets. From the 1890s until 1911, the store was operated by the Jackson family. 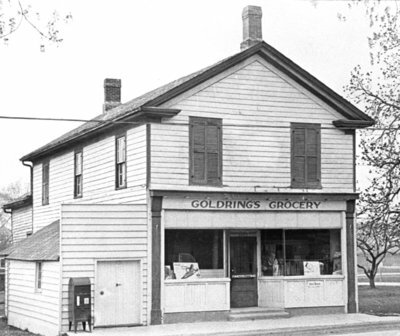 The Goldring family operated the store from 1911 to 1967 when the building was demolished.